EVERGLOW marks Reece’s debut full-length show and is an autobiographical piece about family and adult life. The underlying theme is about growing older and how the pressures of adulthood have always left Reece feeling like an outsider. 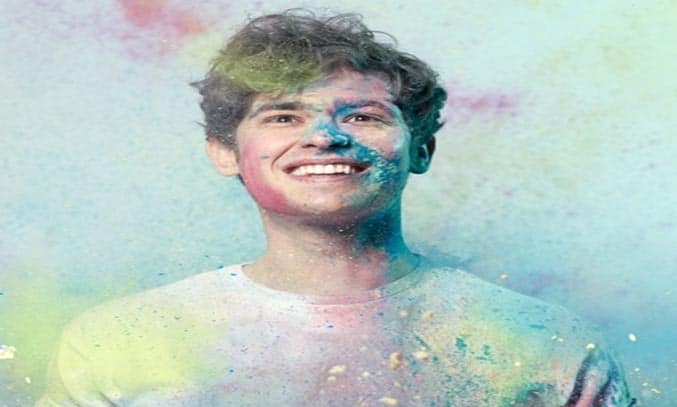 The comedian starts painting a vivid picture of his upbringing in Manchester, sharing warm-hearted anecdotes about his mum who doted on him and his DIY obsessed dad fretted about his sexuality. The content that follows is broadly familiar – the geeky comedian who doesn’t fit in with the ‘ladz on tour’ masculinity of strip clubs, gyms and binge drinking – but unlike others before him, Reece has an eloquent way of expressing his outsider status. Much of the comedian’s performance walks a fine line between funny and thought-provoking. There’s some real storytelling here and much of the writing works hard to evoke a scene or a sentiment. Yet while the show gives a hefty tug on the soul, occasionally the content feels a little too scripted and some of the stories don’t always reach the comedic heights they could. For all its originality, the finale – a rousing speech about family, gender fluidity and modern sexuality – also feels a little too theatrical, ending on a slightly sad note. That said, Brennan has clearly worked hard to put together a poignant tale of family life and his carefree childhood optimism – the EVERGLOW of the title – still has the capacity to make you both laugh and cry at the same time.